Dr Stephanie Seneff: Statin drugs and dementia – You must be nuts! 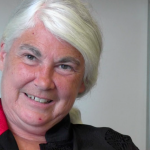 Dr Stephanie Seneff, Senior Research Scientist at MIT, talks about the connection between statin drugs and dementia. In December 2009, Dr Seneff wrote a paper entitled APOE-4: The Clue to Why Low Fat Diet and Statins may Cause Alzheimer’s . A revised version of the paper, co-authored with Dr Glyn Wainwright and Dr Luca Masatelli, was published in the European Journal of Internal Medicine in December 2010 with the title Nutrition and Alzheimer’s disease: The detrimental role of a high carbohydrate diet. Patrick Holford: The impact of statins on dementia Justin Smith: Could a low fat diet & statins cause dementia?